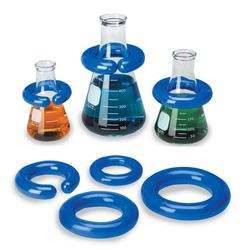 Other laboratory equipment and supply websites can be difficult to navigate because all the available options and accessories overwhelm the product selection. We decided it would be easiest to keep "parent" products in one place and collect equipment accessories in a separate section. You will find stacking platforms to increase capacity, aluminum blocks for your dry bath, shaking blocks for heated vortex mixers and many other customizations.